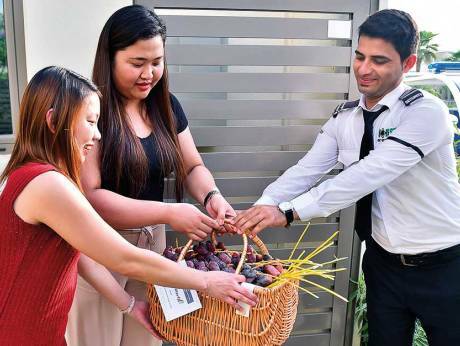 Even as supermarkets in the UAE stock up on fresh dates from the current harvest season, residents of one community in Dubai are savouring the summer fruit without having to buy it. In fact, they are receiving basketful of dates for free. The Sustainable City, located on Al Qudra Road, has 1,250 date palms. With the date harvest in full swing, its developer Diamond Developers is distributing free dates to residents for the second year. However, this time around it is also handing out recipes of date-based desserts and other delicacies. Phil Dunn, 46, director of landscape and food security for Seenexus, a daughter company of Diamond Developers, said: “This year we are expecting a bumper harvest of over 60 tonnes of dates. We have already distributed freshly plucked dates to more than 300 families in the community. We have also stocked some in the fridge next to the mosque in the City. 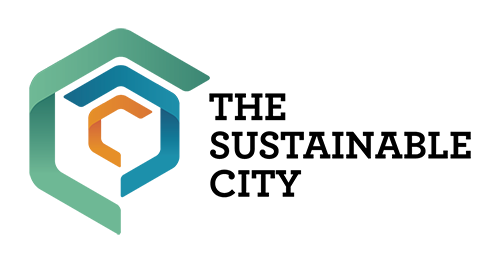 It is our food bank – free for everyone to pick and eat. “We have a very productive landscape and do not plant things just for the sake of beauty. We are trying to create a micro-climate and have planted more than 10,000 trees of various fruits and vegetables. As for dates, we have grown nine varieties.” Dunn said a team of experts is looking after the date production. He said while most of the dates are meant for consumption within the community some are sold at select stores in Dubai. British expat Fiona Brennink, who was one of the many who received a basket of dates, said: “I was so excited to receive the dates. I couldn’t wait to make a dessert for my family. So I went ahead and made Bliss Balls with crushed dates and nuts.” Another British resident, Rachel Hatwell, said she made a banana and date smoothie. Syrian expatriates Rayna Fatayer and Mohammad Daaboul too have used the recipes to create sweet delicacies such as ‘dates square’ and ‘cinnamon dates cake’, and plan to make more dishes in the coming days. “I saw the pollination happen and have been seeing the dates being harvested every day. The cake has turned out amazing and to think that the ingredients are all home-grown makes it that much more special,” said Daaboul. THIS WEEKEND: Don’t miss the last event of the season!